Zemlinksy (1871-1942) was a prominent Austrian composer and conductor, whose lush music has been enjoying renewed interest. Like so many artists of the era, his conducting and teaching career in Germany, Prague and Austria was made difficult, then impossible during the turbulent 1930s. Zemlinsky fled to the U.S. in 1938. 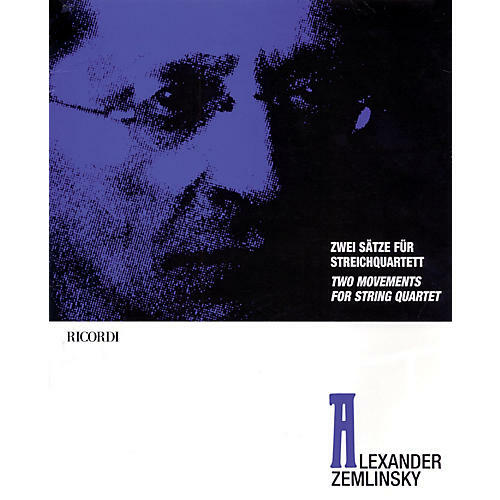 Zemlinsky had the same extreme expression in his music as his contemporaries Arnold Schoenberg and Alban Berg, but his music remained firmly tonal throughout his career. These two fascinating movements date from 1927, published posthumously. They are in addition to the composer's four finished string quartets.